Services in the area this weekend. March 4: 2pm at Festival Hall, Market Rasen; 2pm at North Kelsey Methodist Church; 7pm at St Hilary’s, Spridlington. 8am BCP Communion at Market Rasen; 10am Family Service with Communion at Market Rasen. March 7: 8.30am Morning Prayer at Market Rasen. March 9: 9am Morning Prayer at Market Rasen; 10am-11.30am Mini Messy in Market Rasen Church Room; 7.30pm Bell ringing practice. March 10: 9.30am BCP Communion at Market Rasen. Daily Mass; 10am Holy Rood, Monday to Thursday; Friday 6pm at Caistor. Saturday: Confessions and Exposition 10am, followed by Mass at 10.30am at Holy Rood; 5.30pm Vigil at St Francis De Sales, Hainton. Brookenby: 10.30am Cof E Service. Caistor: 10.15am All Age Worship, Caistor Worship Leaders. Glentham: 10.45am Family Church, Dr Don Owen. Market Rasen: 10.45am the Rev Anne Coates. 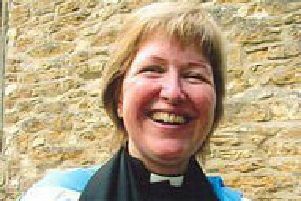 Middle Rasen: 10.45am John K Ramm; 6pm the Rev Anne Coates. North Kelsey: 10.45am Timothy Smith. Teaching; 11am -12.15pm Centrepoint, for children under 14, in the committee room; 6.30pm Church Prayer meeting. Details: 01673 849941. 10am Mothering Sunday Family Service at Faldingworth; 10.30am Mothering Sunday Family Service at Middle Rasen. March 9: 9.30am BCP Communion at Middle Rasen. 9am BCP Communion at Claxby; 10.30am Morning Prayer at Walesby; 10.30am Communion at Brookenby; 10.30am Morning Prayer at Tealby. March 8: 6.15pm Evening service of prayer at Walesby. March 9: 9.30am BCP Communion at Tealby. March 9: 7pm Compline and Address at Usselby. 9am Family Communion for Mothering Sunday at Grayingham; 9.30am Communion for Mothering Sunday at Bishop Norton; 11am Family Eucharist for Mothering Sunday at Kirton Lindsey. Parish Mass: 9am Kelstern; 10am Binbrook; 11.15am Ludford. 8am Communion at Wragby; 9am Communion at Snelland; 10.30am Morning Prayer at Wickenby; 10am United Mothering Sunday Family Service at Wragby Methodist Church, with a ‘thoughts of mothers’ theme and a flower for everyone.